Earn $37.99 in VIP credit (3799 points)What's This? 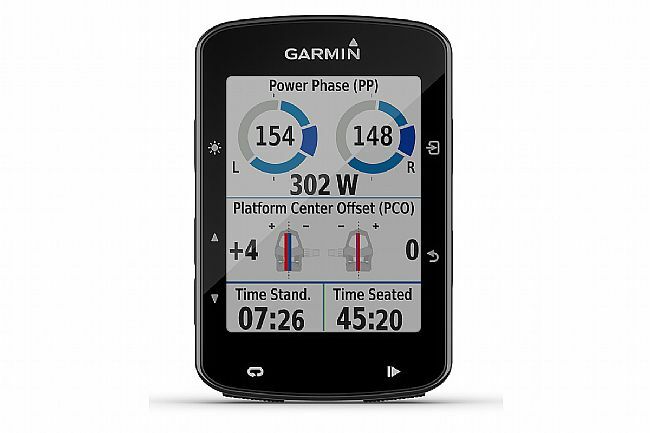 The Garmin Edge 520 Plus updates the rider-favorite Edge 520 with advanced navigation, built-in challenges, and improved Smartphone integration. 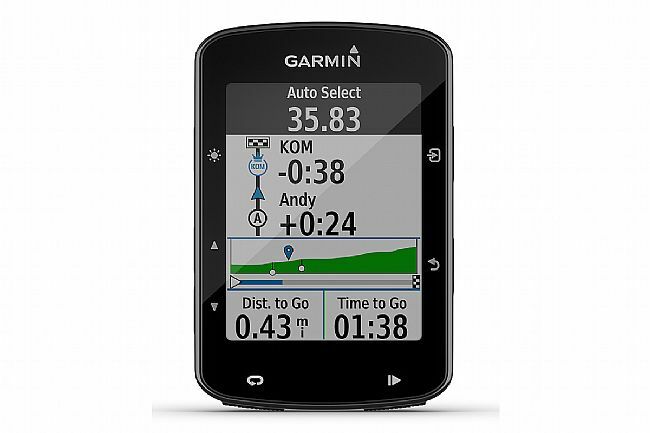 With its GPS and GLONASS connectivity, the Edge 520 Plus is able to track position, speed, distance, and other on-the-bike metrics. Including the Garmin Cycle Map with turn-by-turn directions for on- and off-road routes prefered by cyclists – not motorists. With Strava Live Segments, every ride can be a race to the finish. 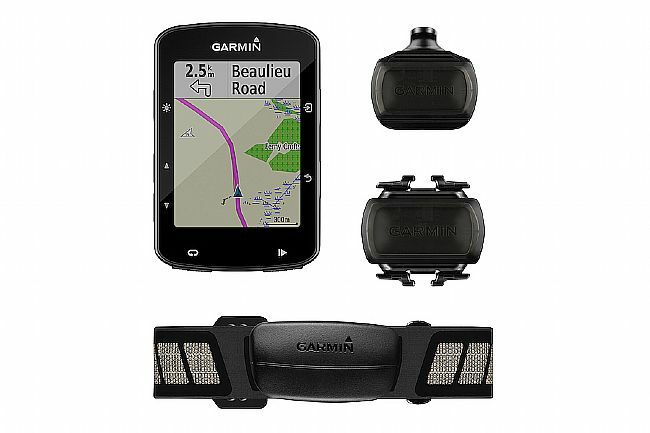 This Sensor Bundle pairs the 520 Plus with the full suite of Garmin's sensors. As well as the 520 Plus, you will receive the Speed sensor, Cadence sensor, Heart Rate monitor, Flush out-front mount, charging cable, tether, and manuals. Add cycling awareness features when you pair Edge 520 Plus with Varia bike lights and rearview radar. Updated 520 with advanced navigation options improved Smartphone connectivity. 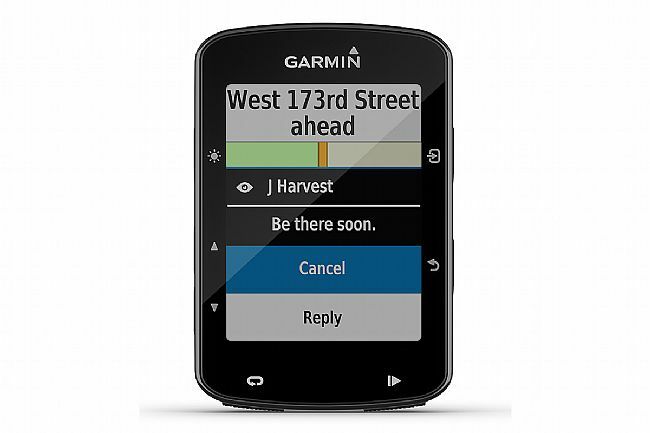 Turn-by-turn directions with preloaded Garmin Cycle Map. With the TrailForks or REI Adventures CIQ app, you can explore MTB trails around you easily. Improved cycling dynamics like V02 Max/Recovery, Functional Threshold Power, and power meter-compatibility. Preloaded Training Peaks Daily Workout CIQ app guides effective workouts in real time. Battery life: up to 15 hours. The 520 Plus replaced my aging Edge 705. The new one is leaps and bounds better than the old one. More features, easier to use, smaller, lighter, etc. The navigation is nifty (I used the go back to start feature more than once while riding unfamiliar routes on a vacation, nice to have those Hansel & Gretel breadcrumbs). I gave this a value rating of A Steal primarily because BikeTiresDirect had a sale AND I had banked some Gold points. Otherwise, I might have rated it as good in terms of value. My only gripe so far is that the unit seems to have trouble pair with my sensors ONLY when I ride indoors on trainer. Odd since the unit pairs almost instantly with the same bike and sensors outdoors. Maybe my basement is a Faraday cage? Otherwise, the 520 has more features than I need. I only wish Garmin would make the batteries user replaceable (instead of needing to send them the unit for new batteries) as I will hate to be without it when the time comes. This has changed the way Im able to approach cycling indoors in winter. Its also deepened my passion for cycling. My only knock so far is that the sensors dont always synch up immediately. I sometimes have to pedal backwards to get the cadence sensor recognized and frequently have to disable the heart rate sensor for a few seconds before enabling it so the system recognizes it. Overall, Im very satisfied. Still learning all it can do but so far it is all that was promised. The Edge 520 Bundle is just what I wanted as a Clydesdales and a numbers guy that does 3 or more centuries a year. Easy to use, holds a charge well and gives me data to play with. This new 520 model is great.I prefer the buttons to a touch screen and the new mapping is very nice. Battery life seems a better also. I wish Garmin would introduce an easy way to create and load custom maps though.